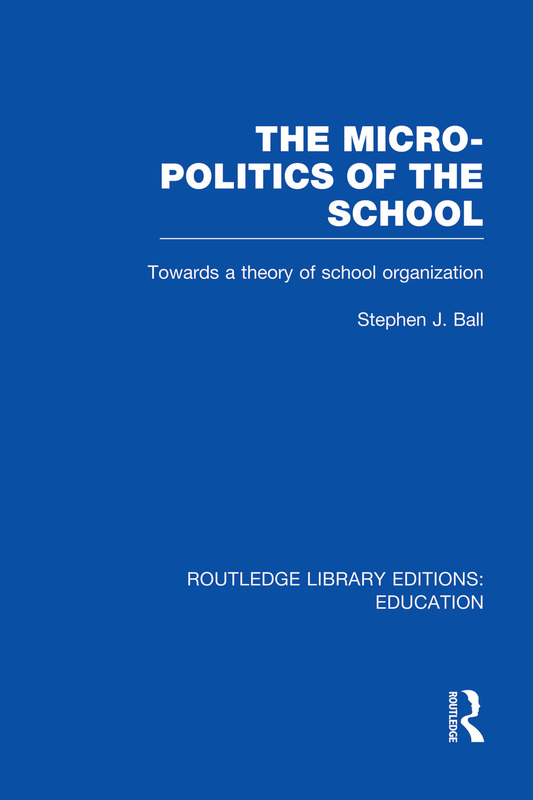 Stephen Ball’s micro-political theory of school organization is a radical departure from traditional theories. He rejects a prescriptive ‘top down’ approach and directly addresses the interest and concerns of teachers and current problems facing schools. In doing so he raises question about the adequacy and appropriateness of the existing forms of organizational control in schools. Through case studies and interviews with teachers, the book captures the flavour of real conflicts in schools – particularly in times of falling rolls, change of leadership or amalgamations – when teachers’ autonomy seems to be at stake. Acknowledgements. Introduction. 1 Orthodoxy and Alternative 2 The Politics of Change: Some Case Studies 3 Age and Gender: Rancorous Change 4 The Politics of Leadership 5 Headship: Opposition and Control 6 Doing Headship: Leadership Succession and The Dilemmas of Headship 7 The Politics of Career 8 Women’s Careers and the Politics of Gender 9 Resources and Relationships 10 Inside/Out: The School in Political Context. Notes. Appendix. Bibliography. Index.